We know a lot about the sociology of fascism, but how have sociologists responded to fascism when confronted with it in their own lives? How courageous or compromising have they been? And why has this history been shrouded in silence for so long? 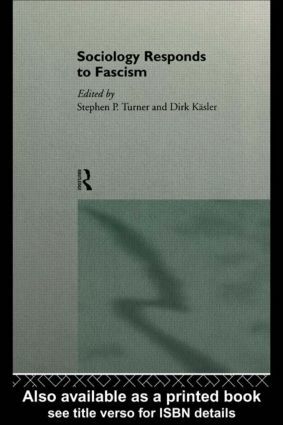 In this major work of historical scholarship sociologists from around the world describe and evaluate the reactions of sociologists to the rise and practice of fascism.